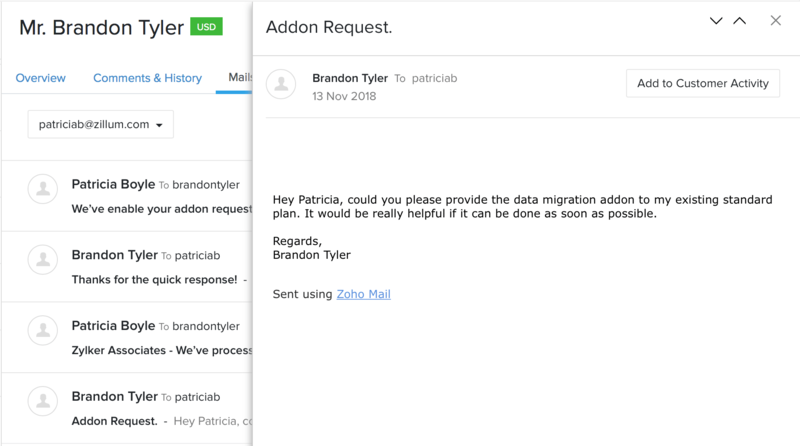 View all your email conversations between you and your customers directly from Zoho Subscriptions. Include the mail activity of your customers in the customer ‘comments & history’ section. Go to Settings > Integrations > Zoho Apps. Click Enable next to Zoho Mail. 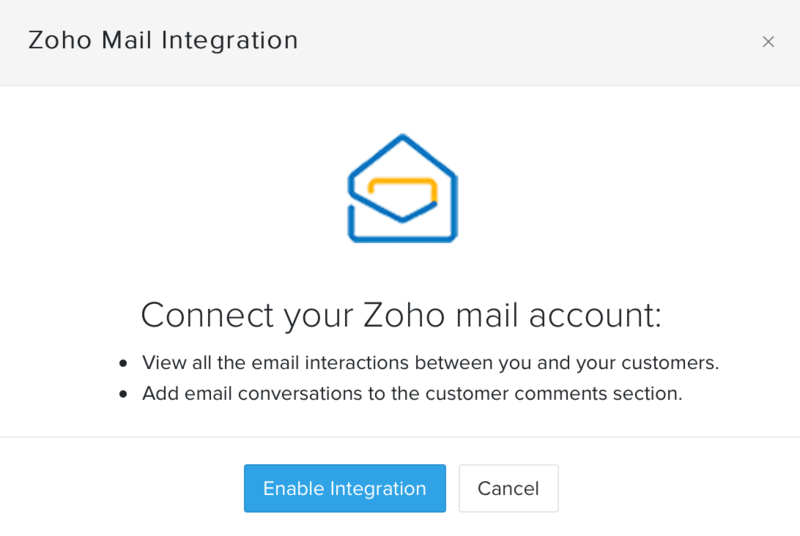 Note: Users should individually enable this integration to view the email conversations with their customers directly on Zoho Subscriptions. 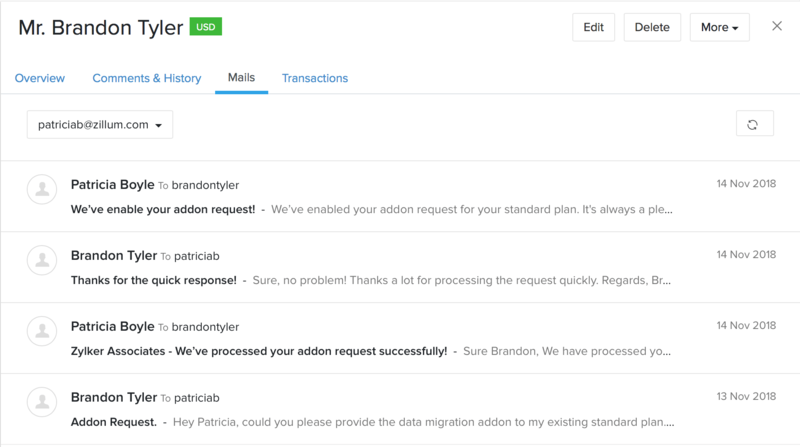 Once you’ve enabled the integration, you can view all the emails sent from that account to your customer. Navigate to Customers on the left sidebar and select the customer whose email conversations you would like to view. Click the Mails tab on the right side of the page. Click System Mails and select your Zoho mail account. Other users in the organization will not be able to view the email conversations between you and your customer. Users who have not enabled the integration will not be able to view their email conversations with their customers. 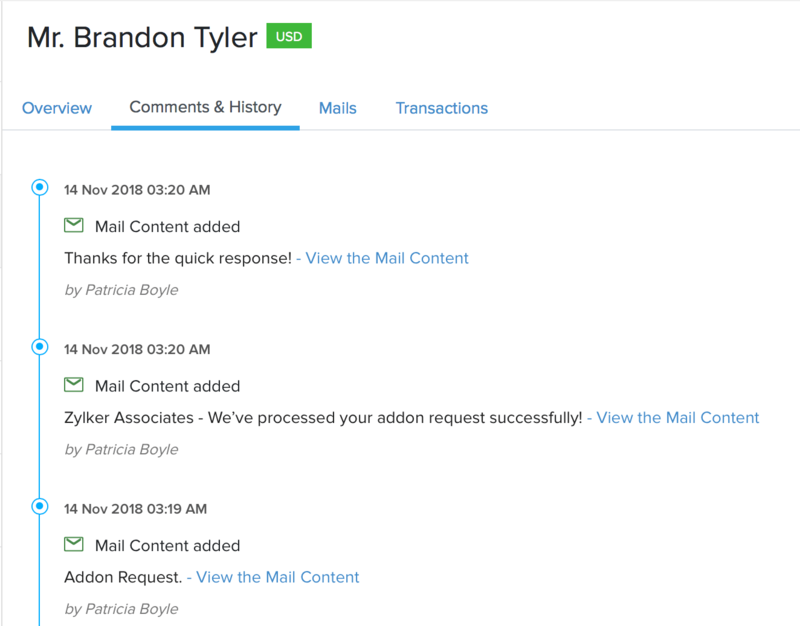 Select any mail from the Mails tab. Select Add to Customer Activity on the right side of the page. Click the Comments & History tab on top of the page. You can now view all the email content in your customers’ comments section. Go to Settings > Integrations > Other Apps. Click Disable next to Zoho Mail.